Carlisle Website Design Testimonials - Light Bulb Web Design Ltd.
Chris has created a beautiful website for my business in a short space of time. He has a great work ethic and always explained the process in an easy to understand way. I cannot rate him highly enough. Chris updated and re-designed the website for us (Didsbury Arts Festival) and I can't recommend him highly enough. Chris had a really flexible approach from the start and was open to discussing ideas and adapting the design until it was right. His expertise in websites and also how people engage with websites was invaluable and really helped to shape our website so it’s user friendly but also looks great! I will certainly be recommending Light Bulb Web Design to friends and colleagues. As a small business just starting out, the prospect of getting a website up and running was pretty daunting. However from the first phone call, Chris put me at ease with his professionalism and his patience for all my questions. He is flexible and really understood where I was coming from. The end result is a beautiful, professional and user friendly website that has already received great feedback from my clients. If you are looking to build a new website then please look no further. Chris is amazing and goes above and beyond and nothing is too much trouble. I have had so many comments on my fabulous website and I can't thank Chris enough. He is professional, efficient and very very good at what he does! Chris sorted the website out for me quickly & without any fuss. It now looks better & is getting positive comments. I'd certainly recommend Light Bulb Web Design Ltd to anyone as all my requests were understood & acted upon almost immediately. Light Bulb Web Design have created an amazing website for us at CONQUER Lake District. It has been a great experience working with Chris who has listened to our ideas and produced something that far exceeded our expectations! The website looks great and communicates what we are about very clearly. We have no doubt that our new website will have a positive impact on our business and can’t thank Chris enough! Well done Light Bulb Web Design, take a massive bow. I am a trustee for a small UK based charity. We asked Chris from Light Bulb Web Design to design and construct a new website for us to replace our rather ancient existing one. We are delighted with our new website and the work Chris carried out. He grasped the issues our charity deals with and worked with them very sensitively. His responses to our queries have always been very speedy and thorough. I wouldn't remotely consider giving him less than 5 stars! After having long term issues with a WordPress site and my hosting package. I contacted Chris as my site had http 500 error codes and had been going down frequently. Obviously a business site needs to have a constant presence on Google. We discussed options and agreed a solution. Chris worked tirelessly to recover databases which isn't an easy thing to do. Then transplanted all this into a brand new site. The site is now easy to navigate and aesthetically looks fantastic. My website in the weeks it was down had fell off the search engines which was a concern for any business owner. Due to Chris and his knowledge of SEO the new site is back on the first page of Google within a day of his new site going live. Chris I cannot recommend you highly enough and anyone looking for a site and optimised for your particular field Light Bulb Web Design will fulfil your requirements. We needed a Website built for a Caravan Park. This is something that I have never done before and Chris made this process easy. We now have a booking system in place and payments going through the system with ease. Chris, I thank you for your patience and you will certainly be highly recommended. Thank you for doing such a great job! Light Bulb went above and beyond to provided me with a stunning website. Also took me from page 8 on Google to page 1 !! I honestly could not recommend them enough. 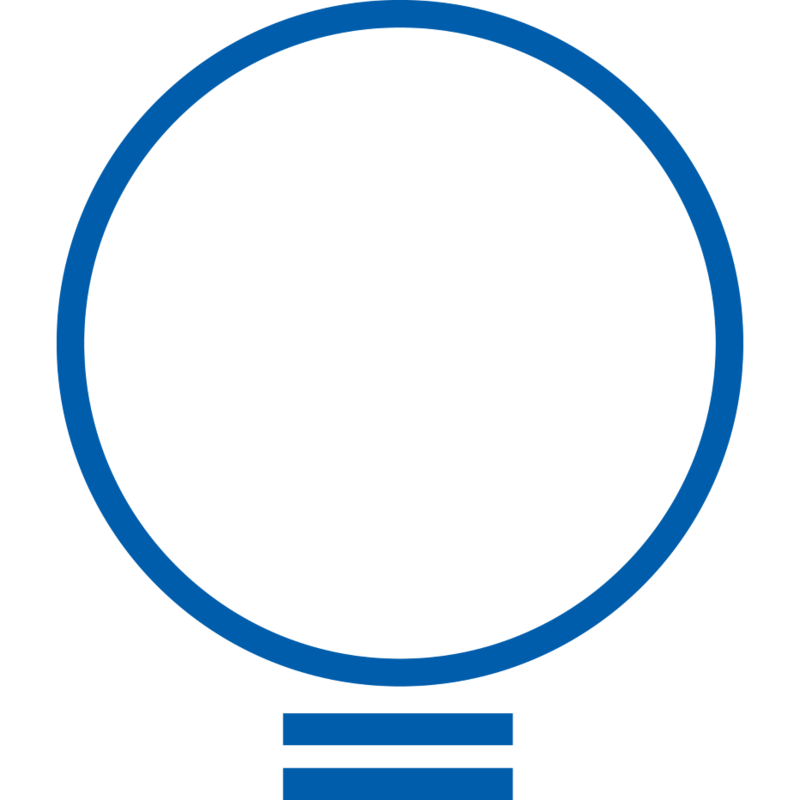 Light Bulb Web Design has been amazing for our business. We cannot thank them enough, the work that has been done has been second to none. Support has also been to an exceptionally high standard. For us we were third time lucky, as we have already tried two previous web designers that didn't seem to grasp what our company required. We now have a fully functional shop, membership area, dashboard and Directory - truly wonderful. We have retained LBWD each month so they can be on hand to support us in the event of a website query or technical issue. Thank you very much, it is a pleasure working with you Light Bulb Web Design. Really really pleased with my new website. Will definitely recommend to anyone. Thank you very much Chris. We at Monster Catfishing are very happy with our new website. We have tried two companies previous and Light Bulb has by far been the best! So helpful, even when contacting him in the early hours! We would highly recommend Light Bulb Web Design. Thanks Chris much appreciated. We are delighted with our Buteland Stop Shepherds Hut glamping website designed by Light Bulb Web Design. The backup support is excellent. Excellent service, prompt response to enquiries and a spectacular looking website that now works on all platforms. Thanks Chris. We wanted a website for our new cleaning company, Little Duck Cleaning Services. After viewing Light Bulb Web Design's portfolio we decided this was the web design company for us. From the first meeting Chris was very knowledgable, professional and answered all my questions with confidence. We were kept up to date with every step of the process. The first designs were exactly what we wanted and we had a great looking, professional, SEO packed website in a relatively short space of time, for an amazing price! Anyone requiring a new website for their new or established company, should look no further than Light Bulb Web Design! Following a full company rebrand I was looking for a website provider to design a completely new site which reflected the brand and range of services we now offer. Chris put together a professional look which is simple for customers to navigate but has a bold impact. I was very impressed with the product and service and wouldn't hesitate to recommend him and his business. Needing a new website for our rosette company I luckily found Light Bulb Web Design and could not have been happier with the result!! Chris has not only designed us a great new site but the support and service he has given has been absolutely fantastic, can't recommend his design and first class customer service enough, thank you! Light Bulb Web Design made a fabulous job of our website for Cumbria Dance. They were professional, helpful and patient all the way through the process and never once complained when we took so long in our decision process or changed our minds! A fantastic team! Our website was outdated, unsupported and unsecure. It was far more of a liability than asset to us. We wanted a local web designer that we could talk to face to face, who could guide us through the whole process of updating, upgrading and making sure it was secure for our customers. From the first phone conversation we knew that Chris was the right choice. He’s been fantastic throughout the whole process. He listened to what we wanted to achieve, then talked us through the options, he then migrated as much of our old site as possible and set about creating a fresh, clean and easy to use design. If we’ve had a problem or if something’s not working quite the way we’d expected it to, he’s been on hand to either talk us through it or fix it for us. We wouldn’t hesitate to recommend Chris and Light Bulb Web Design. Our old website was looking dated and in need of a makeover. Chris at Light Bulb Web Design made the process of updating easy and straightforward. We love the look of the new website Chris created. Most of all the blog section posts straight to Facebook and Twitter which saves us time. I'd been searching for a Web designer but didn't have positive experiences UNTIL I discovered Chris Wilcox. He's 100% responsive, extremely helpful, creative, dedicated & knowledgeable. He offers insightful suggestions and works hard to accommodate. He wants me to succeed! I'm delighted with my beautiful website & can't recommend Chris enough. I've always thought of websites as shop windows, the more appealing the window the more likely you would wander into the shop to see what was of interest. My website was needing a facelift. With this in mind, I decided to look at all the local web designers websites. I did not stop in Cumbria and indeed looked at sites all over the Country. One site stood out to me and that was Light Bulb Web Design. I loved the look of his site and decided that this was the company I wanted to redesign my website. I explained to Chris what I wanted to achieve and explained that I didn't like to make calls to designers and be unable to catch them. I wanted to easily be able to liaison with him by email, phone etc as I had previous experience with a firm that you could never get hold of. Well I must say not only was Chris there every step of the way he has created a responsive website that certainly is inviting the customers in! I can totally recommend Light Bulb Web Design to anyone as they are competitively priced and give you excellent value for money. The site he has created is aesthetically pleasing, it is responsive for mobile use and computer use It is easy to navigate and our visitors can visit our pages with ease. To those considering using your services, I can only repeat my previous words that you have showcased and positioned our work on a different plateau. Without your innovation, ability and absolute attention to customised detail, we simply would not be the company we are.....wish you all the success you deserve bud! I cannot thank Light Bulb Web Design enough. The service was amazing and Chris gives great advice. I love my website and it was not expensive with fantastic results. Thank you for making my business more of an success! My website has been live for 3 months now and what an impact it has made on my company. Scotia NDT is starting to thrive and I have Chris to thank for all his hard work with my website. Not really knowing what I wanted in terms of layout and design, Chris had free control to do what he does best and with a few tweaks here and there it was done. Outstanding quality with a service to match. Thanks for all your hard work. We contacted Light Bulb Web Design in Carlisle for a quote to set up our website, all I had to do was give him a rough idea what I wanted. A few days later he came back with a proposal, an hour or two later after a few tweaks the job was sorted. It all seemed so simple and only cost a fraction of what we expected. But it seems to work. Didn't even bother looking elsewhere as we felt there was no need. Fantastic service from start to finish. Incorporated everything I wanted into our website. All the guidance and support I could ever need, and always a prompt response. I would highly recommend Light Bulb Web Design. Chris is very customer focused and updated things constantly to get my new site the way I wanted it. Look no further than Light Bulb Web Design. Fantastic job. From the first email conversation I with Chris, I was impressed by his knowledge and approach, and felt confident that he would be able to provide the level of service I required. Throughout the whole design and build process, Chris provided exceptional service in a timely manner. There were times that I felt I was probably asking the impossible, but nothing was ever too much for Chris. My website with integrated forum has been live for over 2 months now and the after-sales service provided by Chris is as good as it has been from day one. I would have absolutely no hesitation in recommending Chris to friends, and other businesses. I'm absolutely delighted with my new e-commerce website. Chris was very professional and knew exactly what I wanted. Excellent customer service and great value for money. Chris created a beautiful website with a blog that is connected up to my social media accounts. Chris is a lovely man patient and kind, I am a perfectionist and like things to be done to a very high standard, and I notice everything, attention to detail is very important to me, so didn't make it easy for him, but he was absolutely marvellous. He has always been there to help me and answered all my questions anytime, I had set ideas and creative designs and thoughts that needed to be sorted out, he brought my design and thoughts to life and visualized my vision exactly how I wanted it. He also put some beautiful designs on the website they were really cool, I really have found a friend and think of him as part of the team at Davison's DPR I use him again and again. I was struggling with a pay monthly 'build your own' style site, when I went to Chris for advice. What he offered by far exceeded my existing deal. He really listened to what I wanted and needed and went above and beyond all expectations. Highly recommended. Chris is amazing. He has worked with me every step to building my own website. I'm looking forward to a long and happy business future. Really pleased with both the service and end product. Chris kept me informed every step of the way and produced a website that not only looks great but accommodates all our needs. Very happy. Helpful from the very start right through to final product. Looked at what my company needed and did exactly what he said he would.